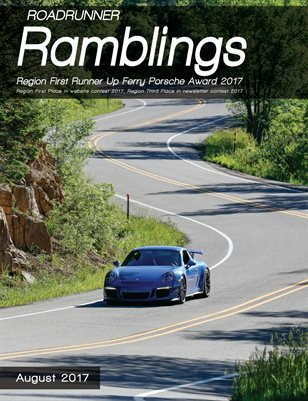 Published monthly, A must read for all Porsche enthusiasts living in the southwest or interested in participating in Porsche events here. 30+ 4 color pages every month. 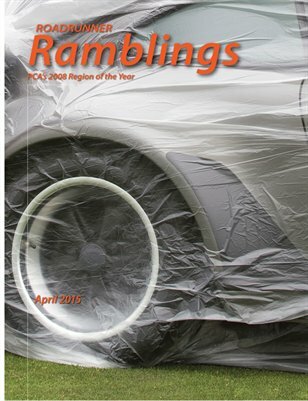 Enjoys a lot of color photos, informational articles and well as local club news. 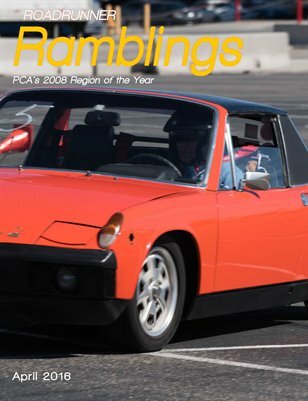 The March, 2019 issues of the Roadrunner Region Porsche Club of America's monthly newsletter. 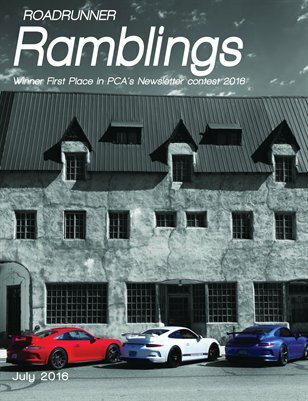 The February, 2019 issue of Roadrunner Region Porsche Club of America's monthly newsletter. 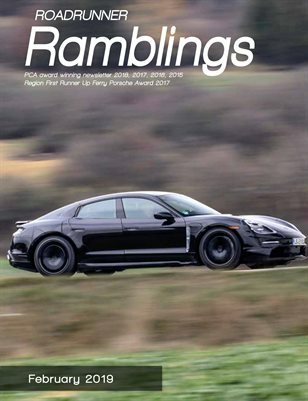 The December, 2018 issue of the Roadrunner Region Porsche Club of America's monthly newsletter. 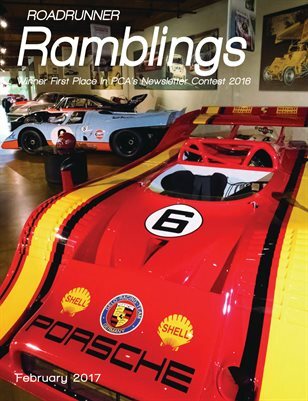 The October, 2018 issue of the Roadrunner Region Porsche Club of America's monthly newsletter. 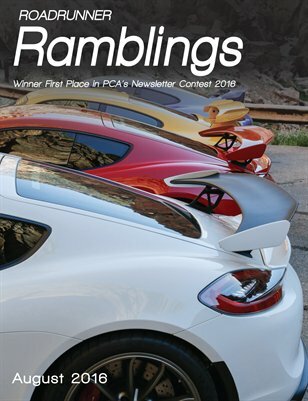 The September, 2018 issue of the Roadrunner Region Porsche Club of America's monthly newsletter. 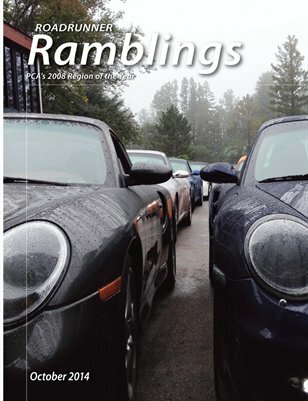 The August, 2018 issue of the Roadrunner Region Porsche Club of America's monthly newsletter. 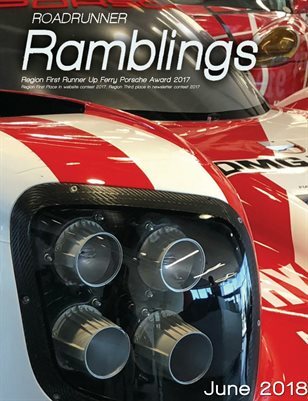 The July 2018 issue of the Roadrunner Region Porsche Club of America's monthly newsletter. 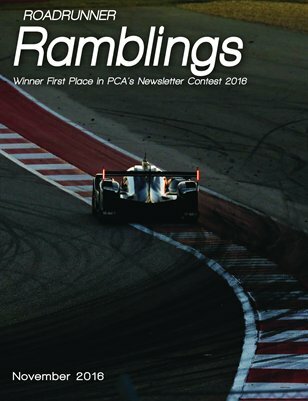 The June, 2018 issue of the Roadrunner Region PCA's monthly newsletter. 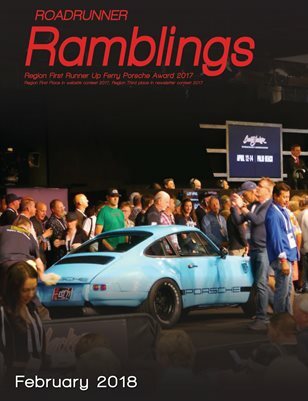 The May, 2018 issue of the Roadrunner Region Porsche Club of America's monthly newsletter. 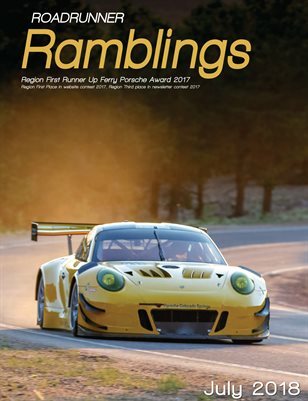 The April, 2018 issue of the Roadrunner Region Porsche Club of America's monthly newsletter. 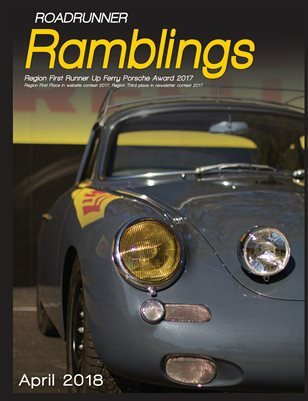 The March, 2018 issue of the Roadrunner Region Porsche Club of America's monthly newsletter. 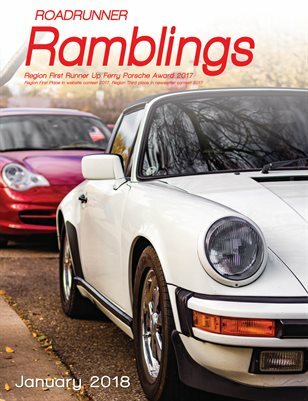 The February, 2018 issue of the Roadrunner Region Porsche Club of America's monthly newsletter. 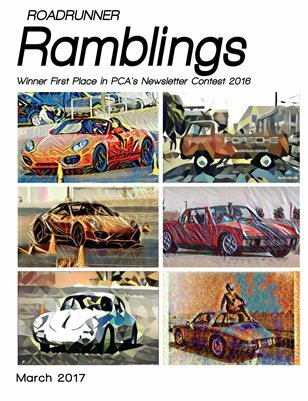 The January, 2018 issue of the Roadrunner Region PCA's monthly newsletter. 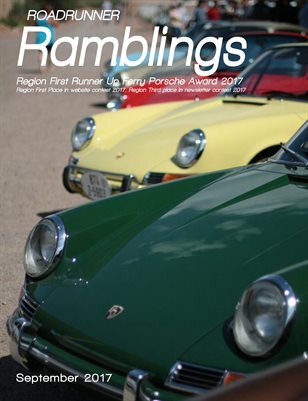 The November, 2017 issue of the Roadrunner Region Porsche Club of America's monthly newsletter. 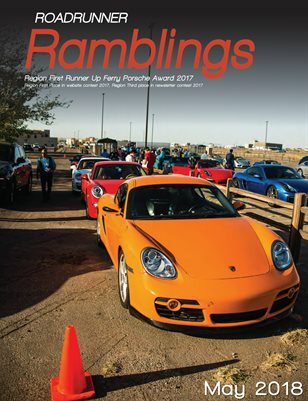 The October, 2017 issue of the Roadrunner Region Porsche Club of America's monthly newsletter. 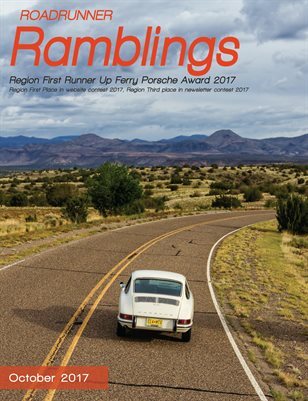 The September, 2017 edition of the Roadrunner Region Porsche Club of America's monthly newsletter. 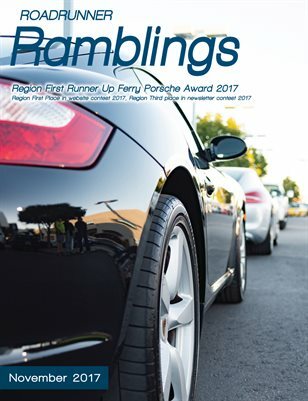 The August, 2017 issue of the Roadrunner Region Porsche Club of America's monthly newsletter. 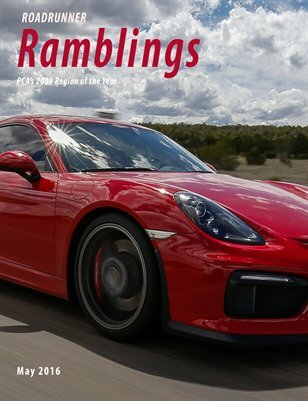 The July, 2017 issue of the Roadrunner Region of Porsche Club of America's monthly newsletter. 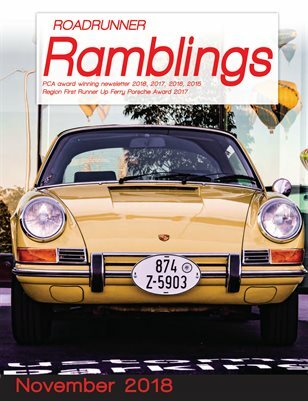 The July, 2017 issue of the Roadrunner Region Porsche Club of America's monthly newsletter. 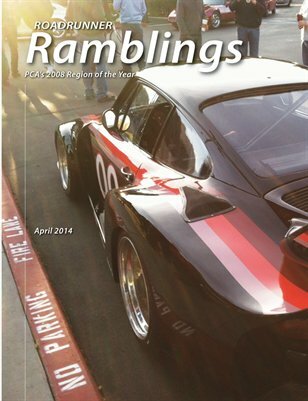 The April edition of the Roadrunner Region Porsche Club of America's monthly newsletter. 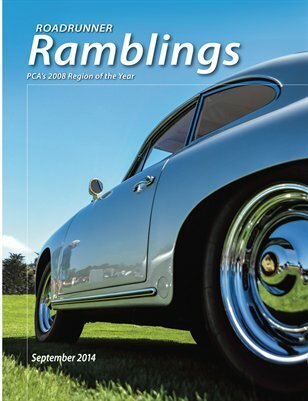 The March issue of the Roadrunner Region Porsche Club of America's monthly newsletter. 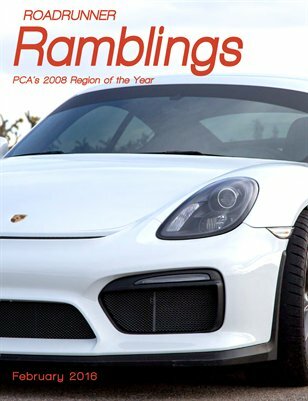 The January issue of the Roadrunner Region Porsche Club of America's monthly newsletter. 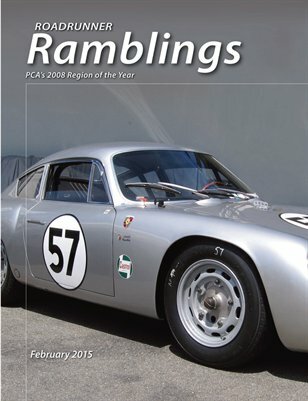 The February issue of the Roadrunner Region Porsche Club of America's monthly newsletter. 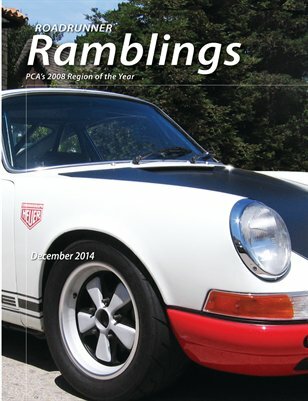 The December, 2016 issue of the Roadrunner Region Porsche Club of America's monthly newsletter. 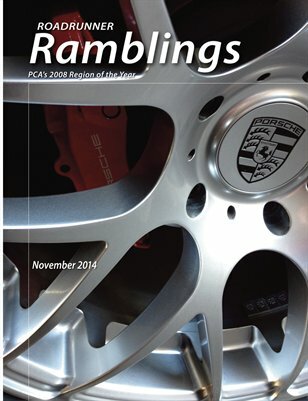 The November issue of the Roadrunner Region Porsche Club of America's monthly newsletter. 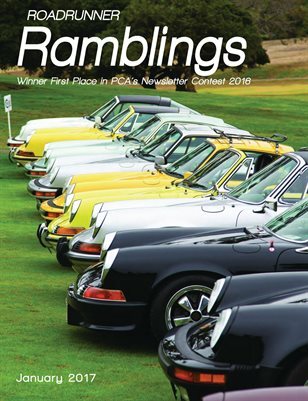 The October, 2016 issue of the Roadrunner Region Porsche Club of America's monthly newsletter. 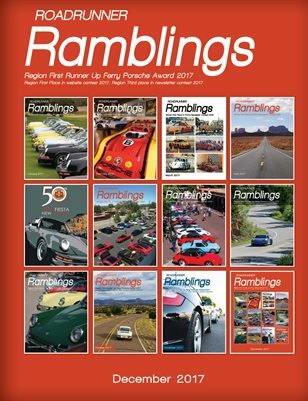 The September, 2016 issue of the Roadrunner Region Porsche Club of America's monthly newsletter, Roadrunner Ramblings. 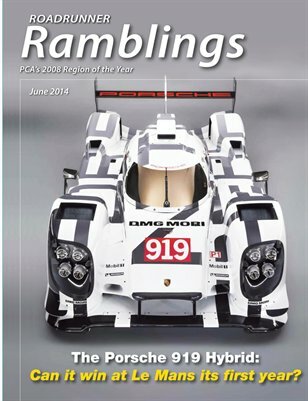 The August, 2016 issue of the Roadrunner Region Porsche Club of America's monthly newsletter. 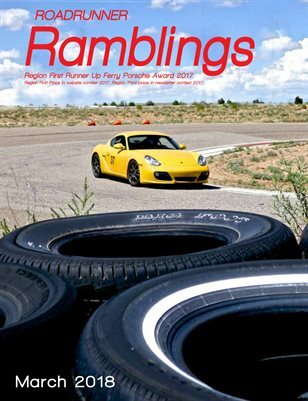 The July, 2016 issue of the Roadrunner Region Porsche Club of America's award winning monthly publication. 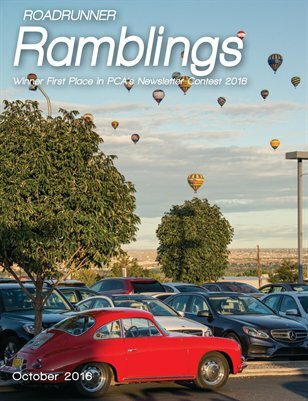 The June 2016 issue of the Roadrunner Region PCA's monthly newsletter. 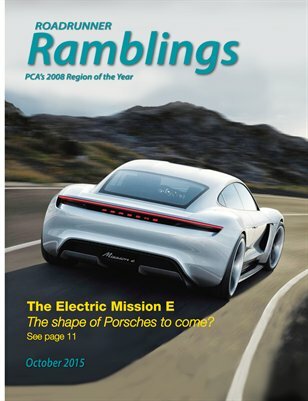 The May issue of the Roadrunner Region Porsche Club of America's monthly newsletter. 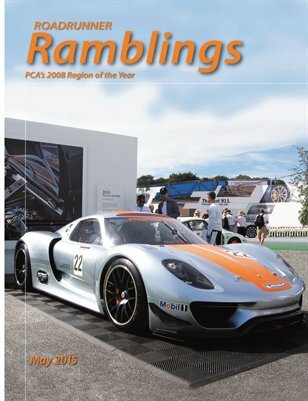 The April issue of the Roadrunner Region Porsche Club of America's monthly newsletter. 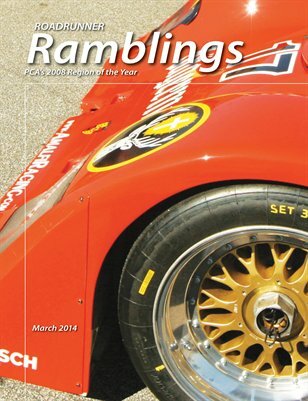 The March issue of the Roadrunner Region PCA monthly newsletter. 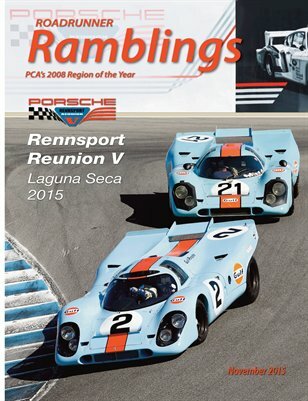 The February, 2016 issue of the Roadrunner Region Porsche Club of America's monthly newsletter. 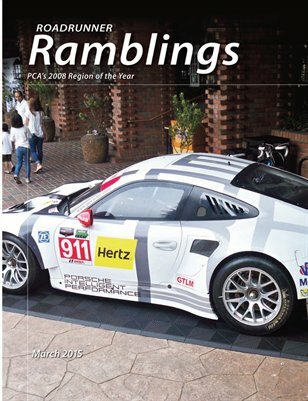 The January, 2016 issue of the Roadrunner Region Porsche Club of America's monthly newsletter. 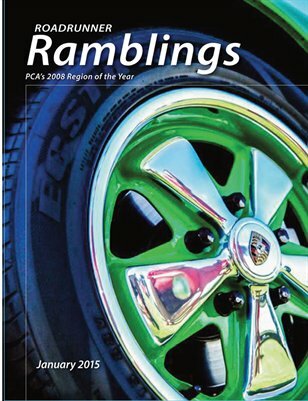 The December issue of the Roadrunner Region Porsche Club of America monthly newsletter. 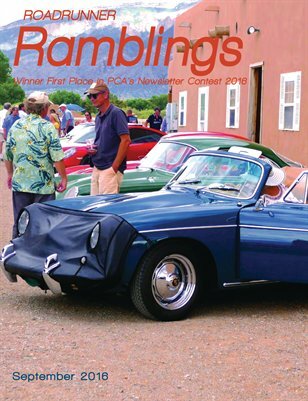 The November, 2015 issue of the Roadrunner Region PCAs monthly newsletter. 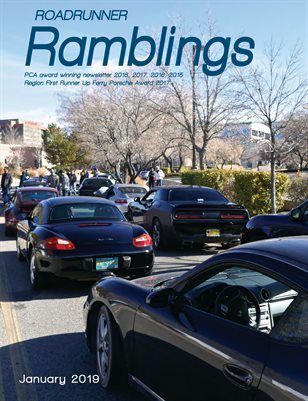 The October issue of the Roadrunner Region Porsche Club of America's monthly newsletter. 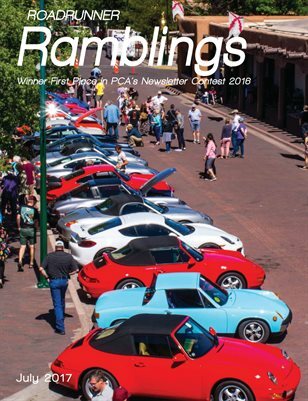 The September issue of the Roadrunner Region PCA monthly newsletter. 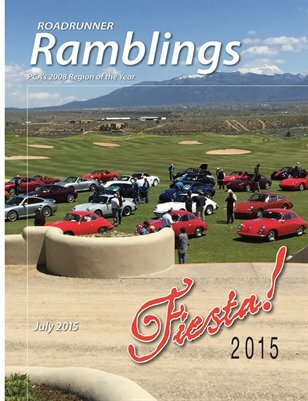 The August, 2015 issue of the Roadrunner Region Porsche Club of America newsletter. 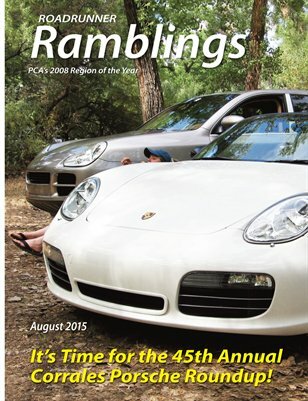 The July, 2015 issue of the Roadrunner Regions PCA newsletter. 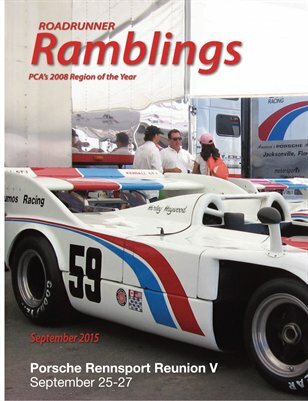 The June, 2015 issue of the Roadrunner Region PCA club magazing, Roadrunner Ramblings. 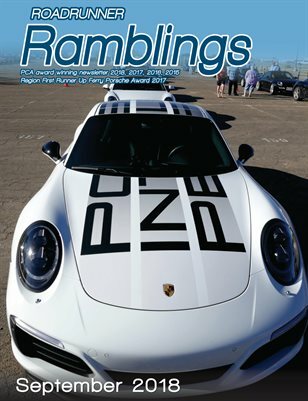 The May issue of the Roadrunner Region Porsche Club of America magazine. 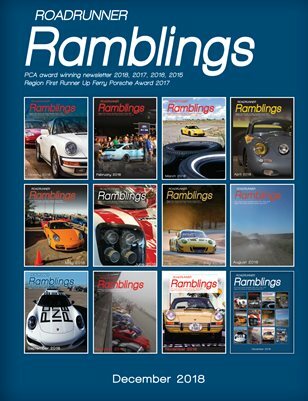 The April issue of the Roadrunner Region PCA Ramblings magazine. 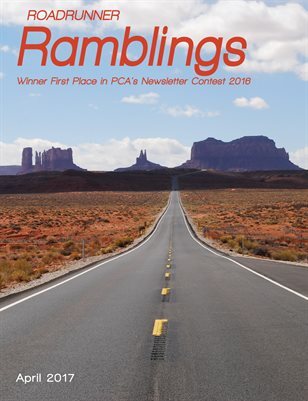 The March issue of the Roadrunner Region PCA newsletter. 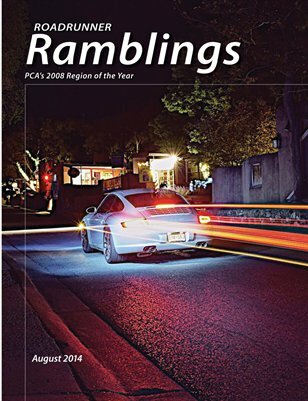 The February 2015 issue of the Roadrunner Region Porsche Club of America. 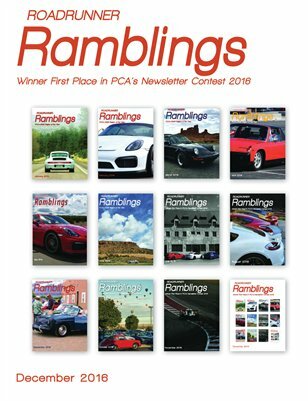 The August issue of the Ramblings newsletter from the Roadrunner Region PCA. 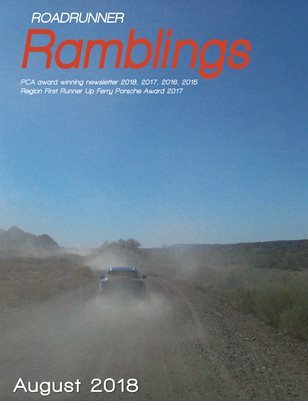 The October Issue of the Roadrunner Ramblings issue of the Roadrunner Region PCA. 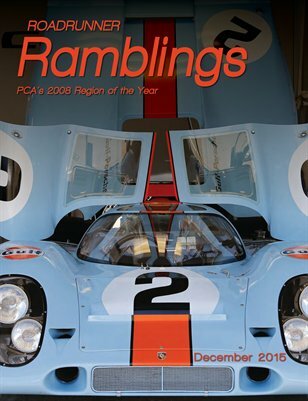 The January edition of the Roadrunner Region Porsche Club of America Ramblings magazine. 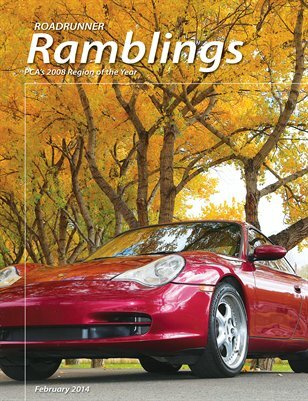 The December issue of the Roadrunner Region Porsche Club of America magazine. 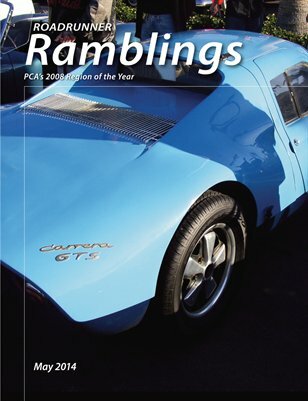 November 2014 Issue of the PCA Roadrunner Regions monthy magazine, Roadrunner Ramblings. 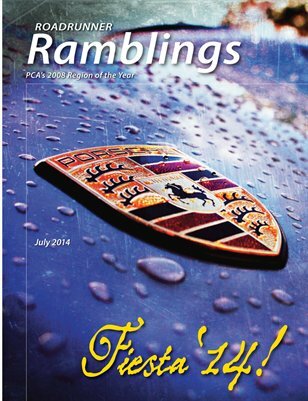 Roadrunner Ramblings July 2014 edition with complete coverage of the PCA Parade and Roadrunner Fiesta Events. Lots of color photos. 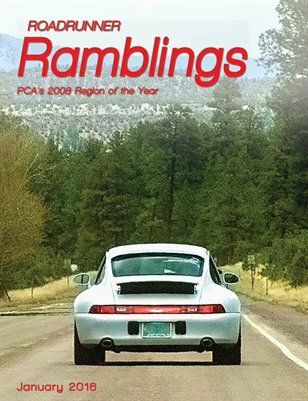 The June issue of Roadrunner Ramblings, the newsletter for the Roadrunner Region of the Porsche Club of America. 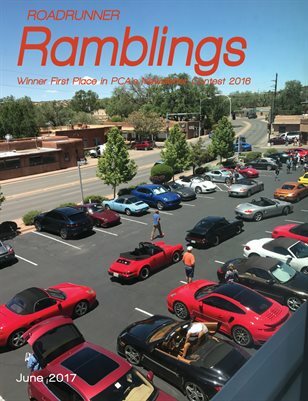 News from the Southwest! 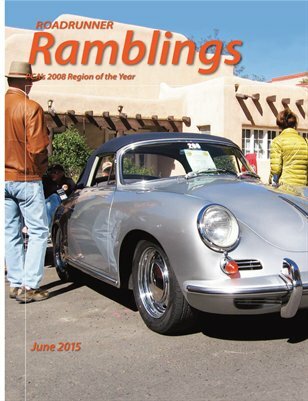 The May, 2014 issue of Roadrunner Ramblings, the newsletter for the Roadrunner Region of the Porsche Club of America. News from the Southwest! 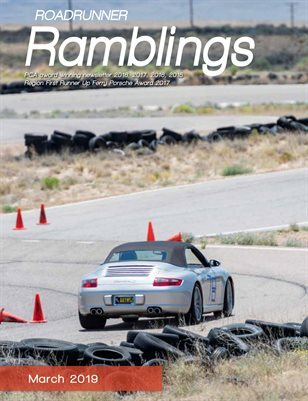 The April, 2014 issue of Roadrunner Ramblings, the newsletter for the Roadrunner Region of the Porsche Club of America. News from the Southwest! 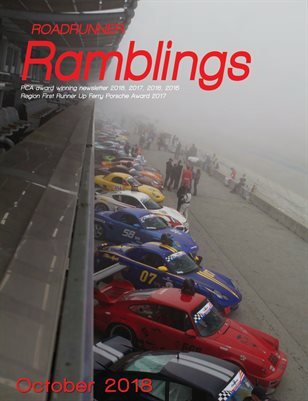 The March issue of Roadrunner Ramblings, the newsletter for the Roadrunner Region of the Porsche Club of America. News from the Southwest! 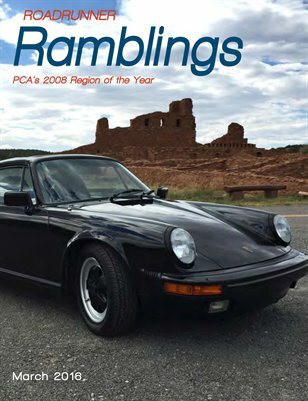 February issue of the Roadrunner Ramblings magazine, the Porsche Club of America Southwest Region.